The first pen and ink drawing is for a job that fell through years ago. The client wanted sketches for tropical themed T-shirts. 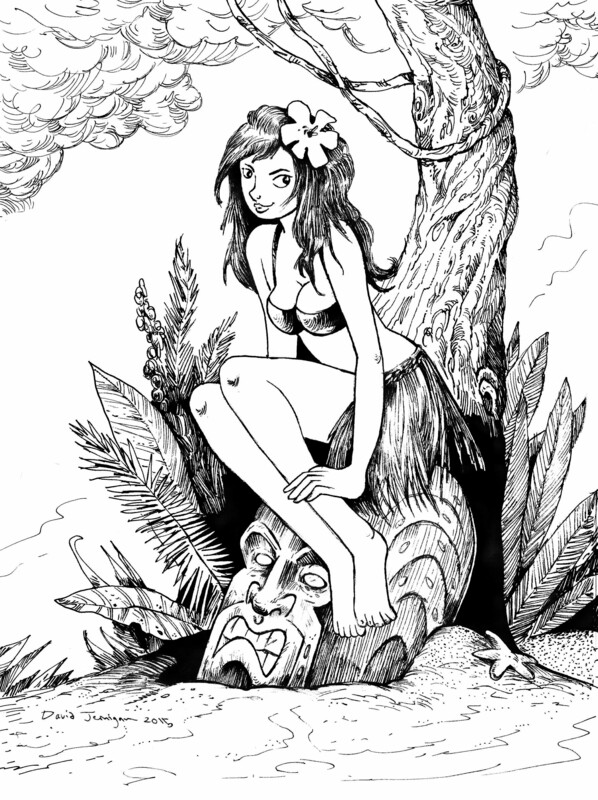 I found a hula girl pencil drawing from that job and inked her in. Her feet and legs are too big, but it still feels very hula-ish. The second page is from my sketchbook. 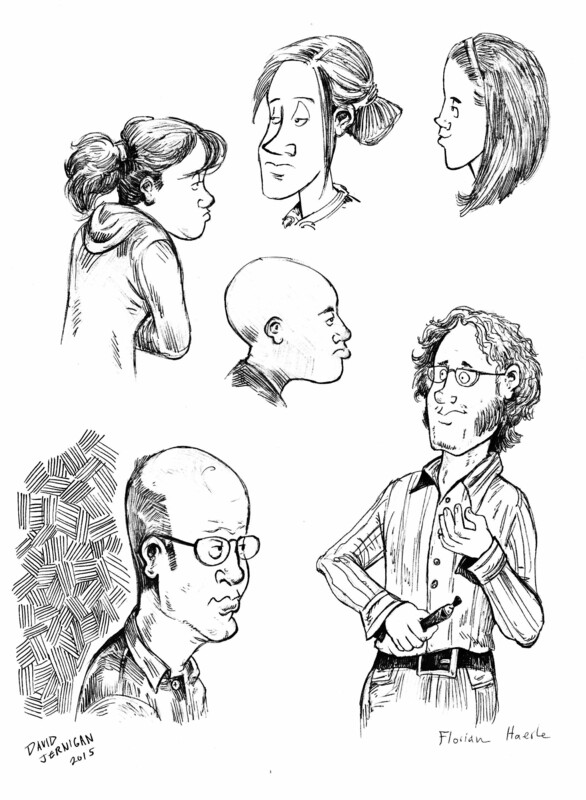 On that page, I included a sketch of my University of Nevada, Las Vegas graduate research professor. He was a great professor and had some very interesting sideburns.